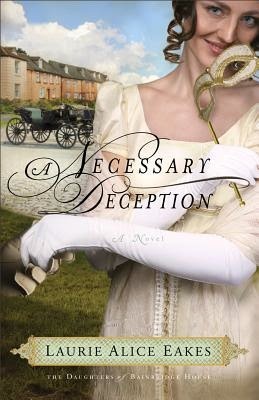 Download the e-book of A Necessary Deception by Laurie Alice Eakes for only 99 cents! When young widow Lady Lydia Gale helps a French prisoner obtain parole, she never dreamed he would turn up in her parlor. But just as the London Season is getting under way, there he is, along with a few other questionable personages. While she should be focused on helping her headstrong younger sister prepare for her entrance at her debutante ball. A woman without a prospect. A man without a homeland. Can love give them a future? Honore Bainbridge has been courted by two men, one of whom turned out to be a traitor, the other a murderer. 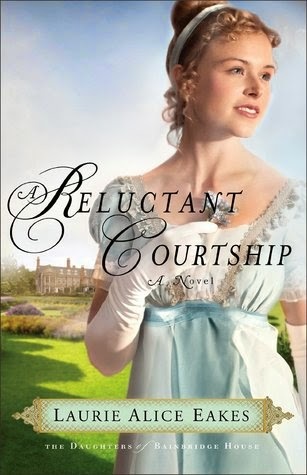 Banished to her family’s country estate, where she will hopefully stay out of trouble, she finally meets the man she is sure is exactly right for her: Lord Ashmoor. Tall, dark, and handsome—what more could a girl ask for? But he too is under suspicion because of his American upbringing and accusations that he has helped French prisoners escape from Dartmoor Prison. If he’s to keep out of a British prison himself and secure his place in British society, Lord Ashmoor needs a wife beyond reproach—something the vexingly beautiful Honore certainly is not. Though they find themselves drawn to each other, family obligations may conspire to keep them apart forever. For the sake of her heart, Honore determines to prove Ashmoor’s innocence—even if doing so risks her own life. From the first sentence, award-winning author Laurie Alice Eakes thrusts you into high drama amid the rocky cliffs of Devonshire, England, and keeps you suspended there until the final page.